Some readers will be interested in what Martin Goodman had to say about Jewish concepts of the Messiah in the Second Temple era. As much as I’m tempted to add my own comments I will restrain myself. I have written enough of my own perspective on this question other times I have addressed “messianic expecations” (as distinct from messianic speculations). I have replaced endnote numbers with citations. When that time comes I believe that bears and lions and panthers and the Indian animals, elephants and tigers, and all others whose vigour and power are invincible, will change their life of solitariness and isolation for one of companionship, and gradually in imitation of the gregarious creatures show themselves tame when brought face to face with mankind … Then too the tribes of scorpions and serpents and the other reptiles will have no use for their venom. 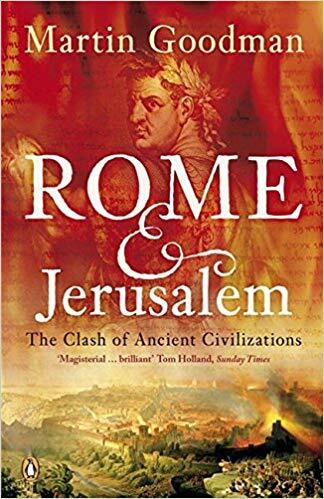 Jewish zeal for both liberty from foreign rule and a passion to be ruled “by God alone” are generally thought to be the causes of Judaea’s war with Rome that ended with the destruction of Jerusalem and its Temple in 70 CE. Hence, goes the common view, the many Jews who were influenced by this politico-religious liberation movement loathed not only the Roman rulers but also the corrupt priesthood whom they considered to be in league with their foreign oppressors. Add a pinch of messianic hopes to this mix and we have a powder-keg situation with the mass of restive Judaeans set against the Romans. It was only a matter of time before it all blew up in all-out rebellion and war, as it did in 66 CE. And is not Galilee a hotbed of these messianic and nationalist rebels? We think of Jesus’ disciple, Simon “the Zealot” or “Canaanite”, and of Josephus’s account of Judas the Galilean in 6 CE apparently responsible for what became the Zealot party and a widespread “nationalist” movement against Roman rule. 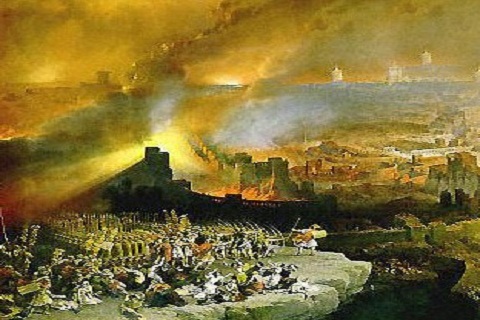 This popular view of Judaea is born rather of “theological romanticism”, a “glorification of Jewish heroes who fought ‘freedom alone'”, “enthusiastic Zionism anxious to represent opposition to Rome as a spontaneous movement of united Jewish people” (Smith, 3f), than it is of a sober evaluation of the evidence. I was reading Steve Mason’s history of the Jewish war of 66-74 CE and paused to follow up a citation of his, Smith 1971, which he portrayed as “a learned and entertaining review of key scholars” attempting to explain the origins of the war. I can’t claim to have shared the entertaining tone of Morton Smith’s article in what follows but I have attempted to extract key points. Under his administration it was that a certain Galilean, whose name was Judas, prevailed with his countrymen to revolt, and said they were cowards if they would endure to pay a tax to the Romans and would after God submit to mortal men as their lords. This man was a teacher of a peculiar sect of his own, and was not at all like the rest of those their leaders.